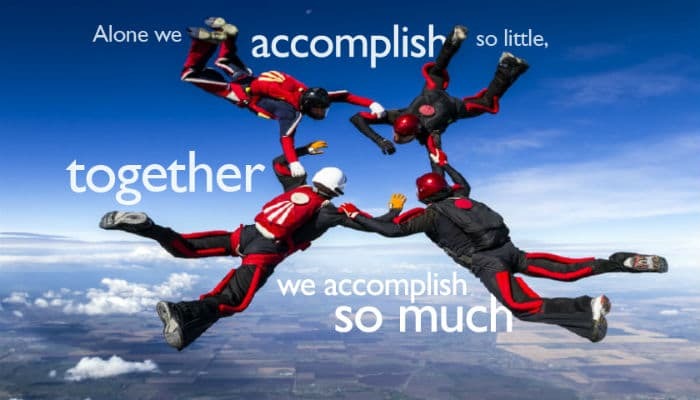 Although our “Team Jump” electronic cards picture four people skydiving, the message it is actually conveying is the value of teamwork. You can send these ecards out to your team or teams to encourage team spirit and team co-operation. The cards could also be sent to subcontractors and other partners in your business. When is the best time to send out these ecards? There really isn’t a “best time” as teams will always need encouraging as the year progresses, so any time of the year will do. However, a good time to thank those people who have worked so hard for you all through the year is at holiday times, and especially at Christmas. Our range of electronic Christmas cards for business are the ideal ecards to send to your business associates and employees. Our ecard service enables us to help you manage your Christmas mailing to make sure it causes no disruption to the smooth running of your business. We are also able to help you at other holiday times with our holiday ecards for business. Using our ecards during peak holiday times will save you both time and money and relieve your staff of all the stress and strain involved in getting the e cards out on time.